With the new year approaching, you’re probably thinking about change. From changing your attitude toward how you approach life to your own personal style, the new year is a chance for you to put your best foot forward. Sometimes that means changing up your hairstyle as well. Our modern hair salon located in Winter Park, FL, will help you achieve that change in style that you want. With a variety of toning options, we’ve decided to target the two most trending hairstyles right now: Ombré and Balayage. So what are these styles and how do you know what’s the best option for you? Let’s find out below. You’ve probably heard of Ombré before, but what is it and who does it look best on? Ombré comes from the French word meaning shadow or shading. It’s a type of style for hair that transitions from darker roots to a lighter shade at the end of the hair. This type of style is perfect for brunettes who want to add some blonde in his or her hair. Ombré is the least subtle type of style and is great for those who want to take a daring step toward a more exotic look for their locks. Ombrés require bleaching the hair due to how light you want the ends of your hair to turn out. It’s a striking decision to go with an Ombré because of how the top and the bottom contrast in look. A Balayage is a technique as opposed to a style of hair. 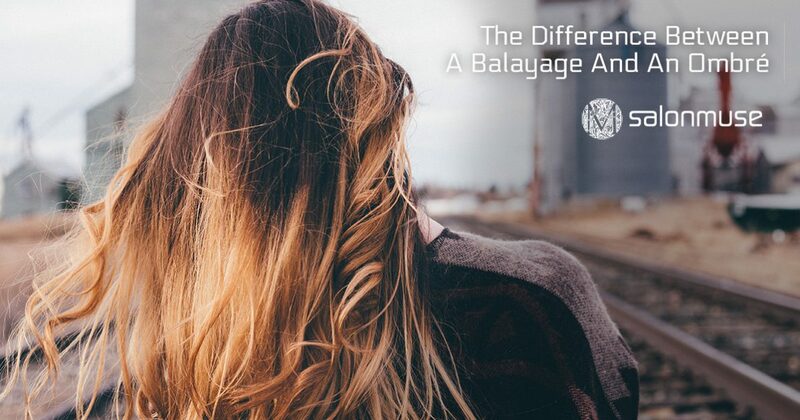 Balayage means to sweep in French and that’s exactly what it does in your hair. It’s a more subtle look as opposed to an Ombré. A Balyage allows you to have perfectly sunkissed hair all of the time. Even though it might be winter time in Winter Park, you can still have beautifully sunkissed hair without worrying about the upkeep. A Balayage is swept in certain sections of your hair to draw highlights throughout your tresses. The highlights are a few shades lighter than your natural hair color and are very eye-catching, especially in sunlight. In addition, when your hair grows out it’s a lot more subtle and can last as long as you want. So, what do you think is the right option for you? Are you willing to go a little more daring and try an Ombré or be a little more subtle and go with a Balayage? If you want sunkissed hair that is a few shades lighter than your natural hair color, then try out the Balayage. If you want to go with a more daring look, then we encourage you to go for an Ombré to add something extra to your 2018 style. At Salon Muse, we offer a myriad of color toning options. From single all over colors to color correction, our highly trained stylists are able to give you the locks you’ve always wanted. We also offer hair services such as full and partial highlights, relaxer, glaze, and root color to name a few of the color options you can take advantage of. If you want a new look, then schedule an appointment with the best modern hair salon in Winter Park, FL.